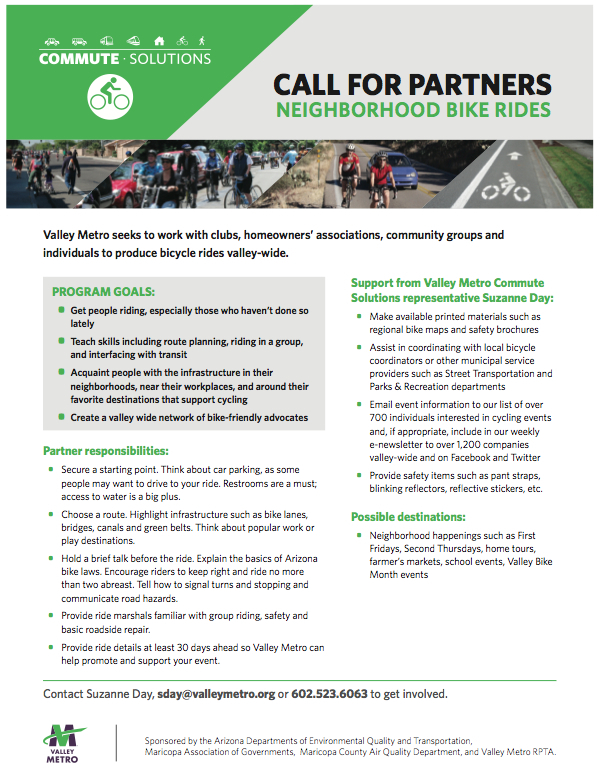 Who’s interested in supporting neighborhood bike rides? This entry was posted in Uncategorized and tagged bikes, neighborhood, suzanne day, tour, valley metro. Bookmark the permalink.